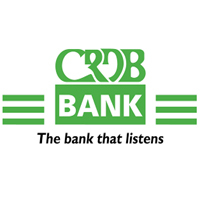 CRDB Bank Plc has an opening for a Deputy Managing Director for its executive leadership team. Reporting to the Managing Director (Chief Executive), the Deputy Managing Director will be responsible for co-creating and implementing CRDB’s overall commercial and funding strategy across channels and business lines. The Deputy Managing Director will partner with the Managing Director and other members of the leadership team in making the CRDB’s Vision a reality. He/She will work to optimize network productivity, driving profitability and increasing volume of business while maintaining a strong cost/income ratio and a high quality of credit portfolio. He/She will lead the digitalization agenda including observation and adoption of developments in telecommunications banking, encouraging and agile development and product environment, and driving agile team working within the portfolio. He/She will be technologically literate and through championing this agenda steer the bank to enthusiastically embrace new innovations and developments as they arise. The Deputy Managing Director will be a self-motivated, credible, and highly capable leader. Candidates will have high levels of energy, pragmatism, and commitment with the ability to influence diverse groups, and work well in an achievement-based environment. Well-developed leadership and management skills will combine with a high EQ, an open and inclusive approach to business, and the ability to work as a natural team player at executive management level. The Deputy Managing Director will have deep experience and understanding of retail and business banking across a branch network of scale, as well as corporate banking and a good understanding of strategic treasury management. They will be fluent in customer and marketing disciplines as well as having a good grasp of risk, compliance and governance. They will be a technological evangelist able and eager to lead the digital and automation agenda, nurturing an innovative culture and collegiate, professional working environment.